Unlike Chita perhaps, Ulan Ude definitely offers a welcoming and somewhat exotic stopover. As the centre of the Buddhist Buryat culture, Ulan Ude is unlike any of the other stops along the Trans-Siberian railway. The capital of the Republic of Buryatia lies 100km (62 mi) southeast of Lake Baikal, opposite Irkutsk on the far side of the world’s third-largest lake. 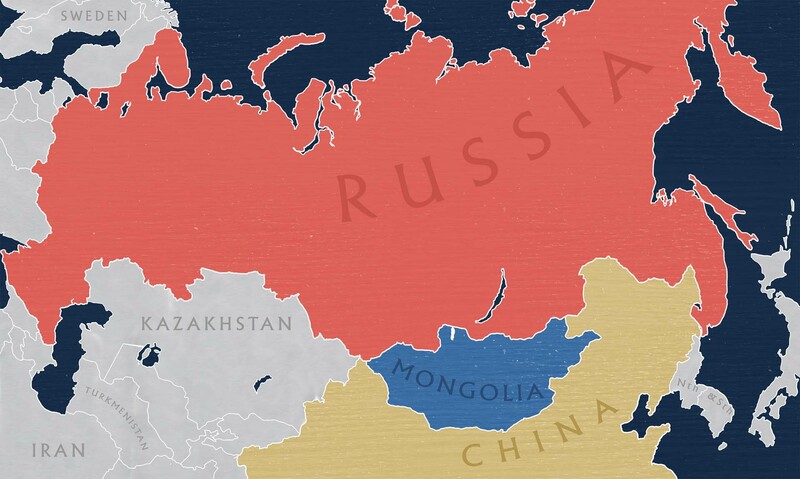 The city is located on the main line of the Trans-Siberian Railway between Irkutsk and Chita at the junction with the Trans-Mongolian line (the Trans-Mongolian Railway) which continues south through Mongolia to Beijing in China. 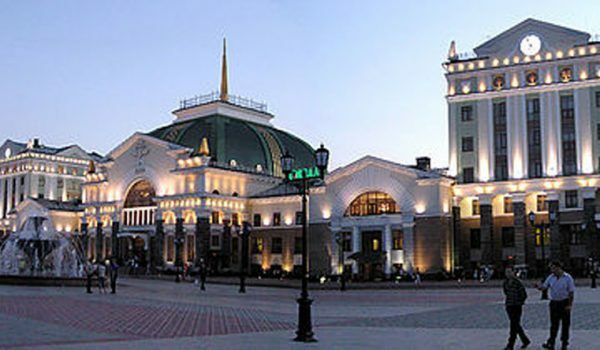 Like most Siberian cities, Ulan Ude was founded during the 17th century. It was a trading post on the tea route road between Irkutsk and China, and retains a strong Mongolian influence, resisting Sovietisation and Russification with some success. Although the city’s Buddhist tradition, like all other religions, suffered a sharp decline under Stalin, there has been a noticeable revival in recent years. Visitors to Ulan Ude today should not miss the opportunity to visit nearby Ivolginsk Datsan, a restored Tibetan Buddhist monastery which now serves as the centre of Buddhism in Russia. In 1927, the 75 year old Dashi-Dorzho Itigilov announced it was time for his death. Itigilov, who was the 12th Pandito Khambo Lama, the titular head of the Buddhist faith in Russia, had the other lamas join him in meditation; he died in mid-meditation. His sitting body was set upright inside a wooden box and buried. Shortly thereafter Buddhism was all but wiped from newly communist Russia. In 2002, Itgilov’s body was exhumed (it had been secretly exhumed and checked on twice by the monks during the Soviet era) and transferred to the Ivolginsky Datsan, the most important Buddhist monastery in Russia. Itigilov’s mummified remains are still there, sitting in the exact same lotus position as when he died more than three quarters of a century ago. Though his eyes and nose are now sunken, the body is nonetheless a wonder of preservation. Itigilov’s body is kept in a glass case, on an upper floor of the main temple. It is exhibited on Buddhist holidays, only seven days of the year. Hangalov Museum of History of Buryatia: The History Museum was first established in 1919 and first known as the Pribaikalye Study Society Museum. 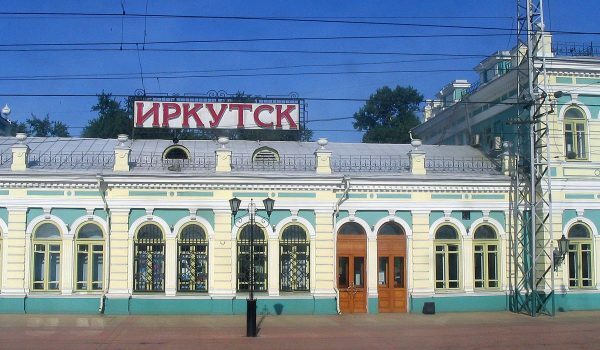 In 1921, it was renamed Pribaikalksy Regional Museum and later the Ethnographic Museum of Verkhneudinsk. Today the museum is located in an historic building, a former college. Operating hours: 10am to 6pm. The Museum houses more than 100,000 exhibits depicting lifestyles of indigenous peoples (Buryats, Evenks) and Russians in the Trans-Baikal region, archaeological finds related to Buryatia, history of religion (Buddhism, Russian Orthodox Church, Shamanism). The third floor is dedicated to Buddhist art and displays many fascinating art items spared from soviet destruction. The museum is proud to have in its collection the two precious Buddhist manuscripts – Ganjur and Danjur and the ancient Atlas of Tibetan Medicine. Natural History Museum: Operating hours: in summer – 10am to 6pm, in winter – 10am to 5pm, closed on Monday . The museum is located 150 metres from Soviet Square (the main square of the city). Its collections are displayed in six exhibition rooms, each dedicated to a different aspect of the natural history of the area. Among its exhibits you can find a petrified tree, a mammoth skeleton, other paleontological items, mineral samples, displays about flora and fauna of the region, and historical documents. One of the main attractions is the display about Lake Baikal. The building also houses a puppet theatre. Museum of Minerals: Operating hours: 9am to 1pm, 2pm to 4pm, on Tuesday and Friday only. The museum’s collection consists of minerals found by geological expeditions in Buryatia. See Nature’s amazing creations – stones of all kinds, some with patterns of gold and quartz – you will be surprised at the diversity of shapes and colours that exist in this world! Sampilov Museum of Fine Art: Operating hours: 10am to 6pm, closed on Monday. The museum contains private art collections, paintings and sculptures by local artists, Buddhist thankas (icons) and folk handicraft items made from wood, horse hair, bone and silver, contemporary art exhibits.